So many of you have participated in the “YOU MAKE THE CALL”, and have responded with some great ideas. Here’s one more I would like to have your input on: Email me with your advice. I read your column regularly and respect your insight and opinions. I wanted to ask you what I should do in this situation. 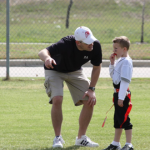 I coach and have coached my kids in a recreational league. The rule for this league is that all the kids pay and play. Equal playing time is a fundamental essential with this league. I am in favor of this as it is a “non-competitive league. At the beginning of each season I always have a team meeting with all the players and parents welcoming them and then expressing all of my hopes, expectations and guidelines for the season. It is always a nice meeting for everyone to get to know each other and to hear me share about my coaching style and how that relates to everyone. The problem comes up often that as the season progresses, it isn’t uncommon for two or three players to make only one of the two weekly practices. The problem is that with the equal playing time rule, I feel that it does send the wrong message that missing practice is ok, and no consequences will be realized. 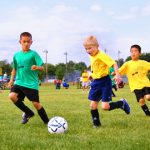 It also does present a problem during the games as new plays or new strategies are practiced and these kids who miss the practice don’t know what to do in different situations, which in turn affect the other players, the style of play and ultimately the outcome of the game. I know and support that winning is not the main issue here and that it is all about the kids learning and having fun, but it still doesn’t seem fair to the kids who come to practice, learn the plays and then are not able to perform them during the game because of their teammates not knowing them. Part of the problem is that reason for missing practice is legitimate. They either have a school event or some kind of family function which is and completely understandable and excusable from a practice. This makes the answer to the dilemma more difficult. What am I to do? Do I reduce their playing time and hope the parents don’t pull out the league rules about equal playing time? Do I continue to give them playing time, which affects the other kids, our efficiency of play and our possibility of winning? Ok everyone, what do you think? Email me with your advice to this coach and this situation. I will give you my response after I tally up and print some of your answers. ….